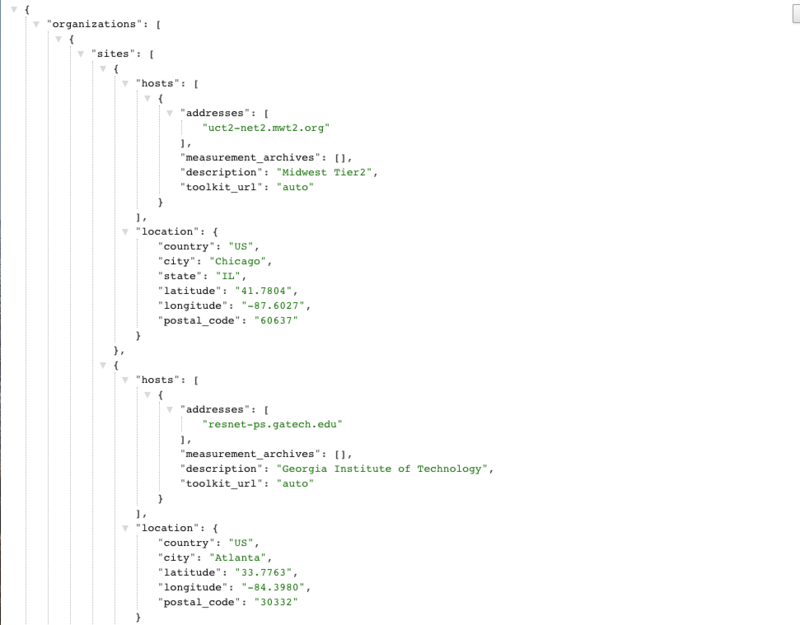 pSConfig Web Admin (PWA) is a web-based UI for perfSONAR administrators to define and publish MeshConfig/pSConfig meshes, which automates tests executed by test nodes, and provides topology information to various services such as MadDash, OSG/WLCG datastore, and others. 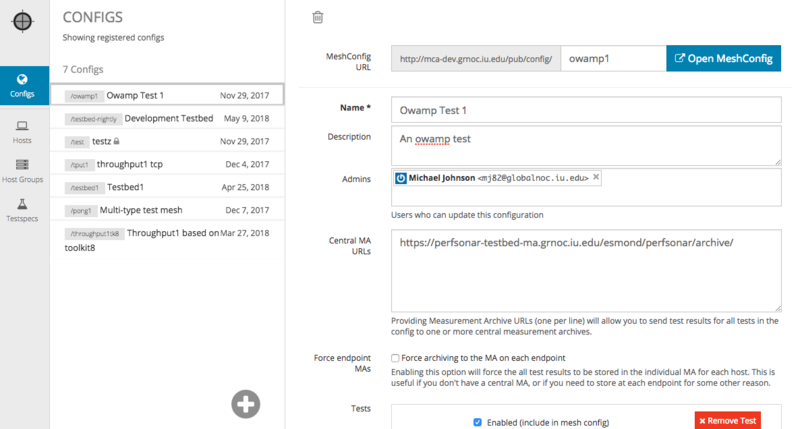 In addition to providing a user-friendly interface for creating pSConfig/MeshConfig output to define meshes, PWA allows multiple users to collaborate on the test configuration. Users can be designated super-admins or normal users, depending on how much access they need. It is also possible to allow users to edit some meshes, but not others. Included with PWA is a publisher that allows users to download defined pSConfig/MeshConfig in JSON format. PWA relies on the perfSONAR Global Lookup Service to provide a list of hosts that administrator can select in PWA’s host group editor. PWA can also load host information from a private Simple Loookup Service instance, as well as supporting hosts that are not in any LS, called “ad hoc” hosts.